Rider Interview: Andrea Pasqualon has been building on his professional career for the last nine years with many top ten places and some good wins to add to his palmarès. 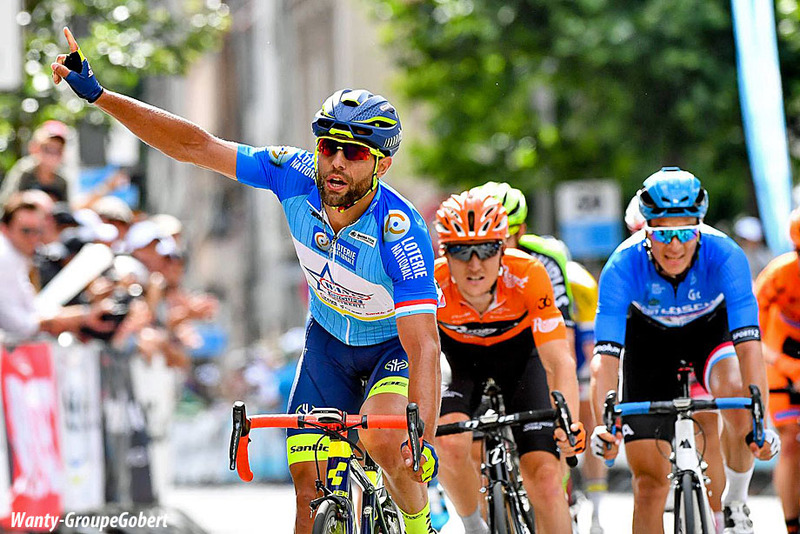 In 2018 he had his best season with three wins and the final overall victory in the Tour of Luxembourg. 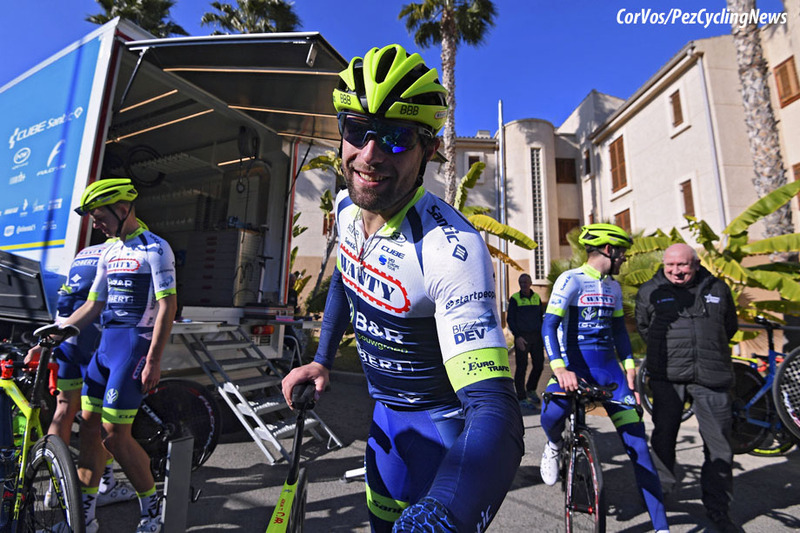 PEZ caught up with the man from Bassano del Grappa at the Wanty-Gobert team presentation in Spain to hear his thoughts on the future and the past, all with a smile. 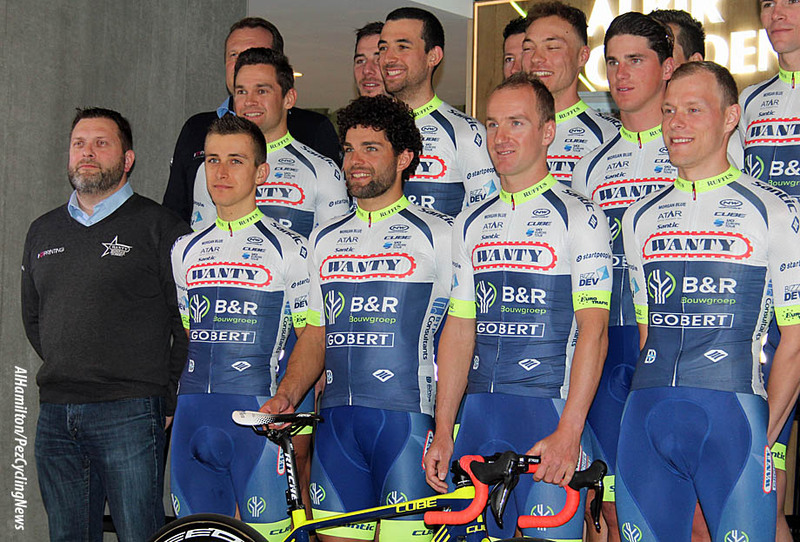 You can see the Wanty-Gobert 2019 team presentation HERE. PEZ: Last year, 2018, was a good year for you with four wins. How did you feel about it? Andrea Pasqualon: Yeah, I think it was the first very, very good year in my professional career I think. 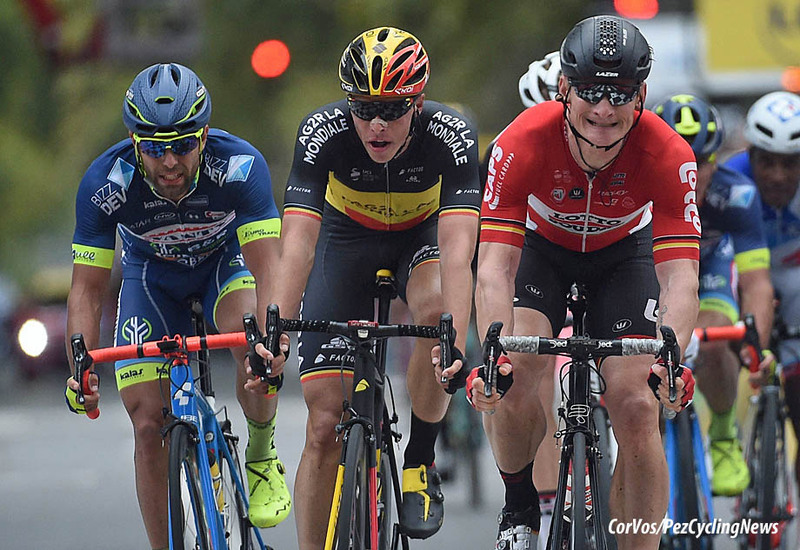 I took three individual victories and one General Classification in the Tour of Luxembourg. 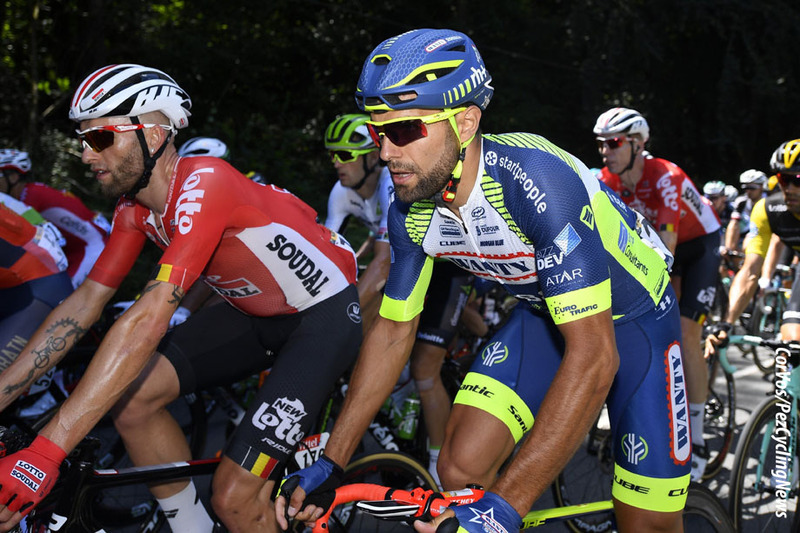 That was a nice, nice week for me and because it was before the Tour de France, I then went to the Tour in good condition with a good result in my back pocket. I think for me and also for my teammates it was a great, very great year because it's not only me who took the victories, but I think six or seven guys took a victory in 2018. The reason, for sure, is that Wanty-Gobert has a good team spirit, we have good teammates. I think for me this is the best team in my career. PEZ: You rode a very long season that started in February and went through to October, do you think Classics and Tour is too much? 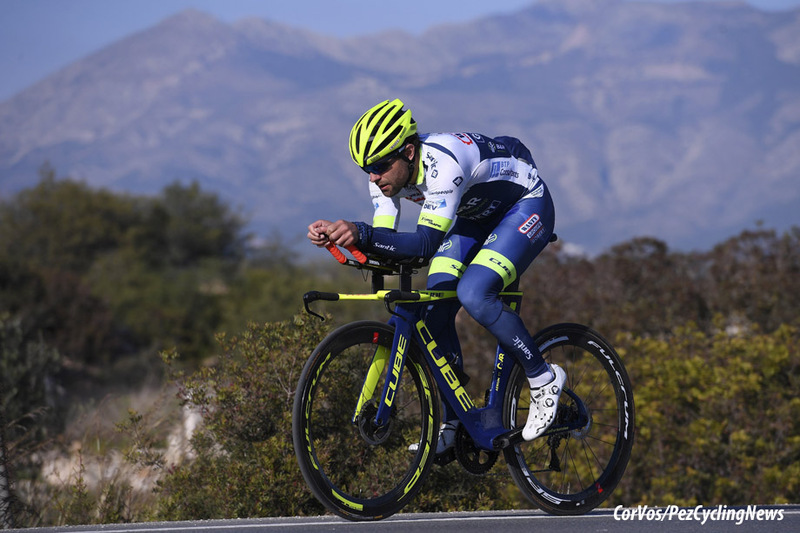 No, in 2017 I think it was too much for me because I didn't have much time to recover during the season, but this year I adapt the calendar in a good way because I think; okay, all the Classics and then the Tour de France, but then the in-between weeks for stopping and doing some training at altitude and when you go for the altitude training you have time to recover well. PEZ: When I say too much, I don't mean too much of you physically, but do you think you might be more successful if you raced less? No, for me the calendar for last year was okay, because for my body I prefer to put some races in during the year for training, to be in good condition. I prefer to work less at home and then race more. 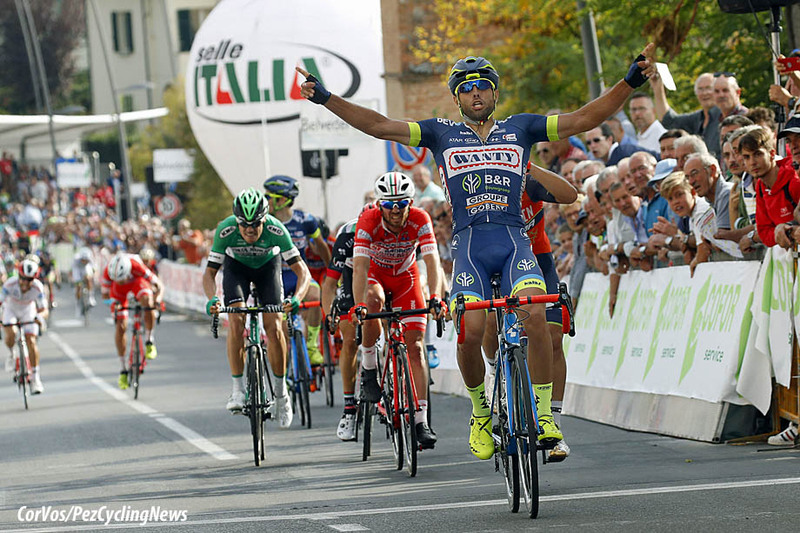 PEZ: Is it strange to be the only Italian in a Belgian team? Yeah it's strange, but I give thanks to the sponsor and the boss, Jean-François (Team manager Jean-François Bourlard), for giving me the possibility of riding with the team, for me it is a pleasure to be here. PEZ: Do you speak French? I speak a little bit of French, I understand all, but I prefer to speak English. I speak some Italian though, because we have some sponsors that speak Italian, but I think it's only two or three sponsors. I understand French very well and I'm happy to understand and then speak English. PEZ: When you came out of the Tour did you feel different? Yeah, the body completely changed after the first Tour de France, after the second one I felt less different. The first year that I did the Tour de France after the Tour I had a feeling in my legs and my body, a strong feeling and a confidence. 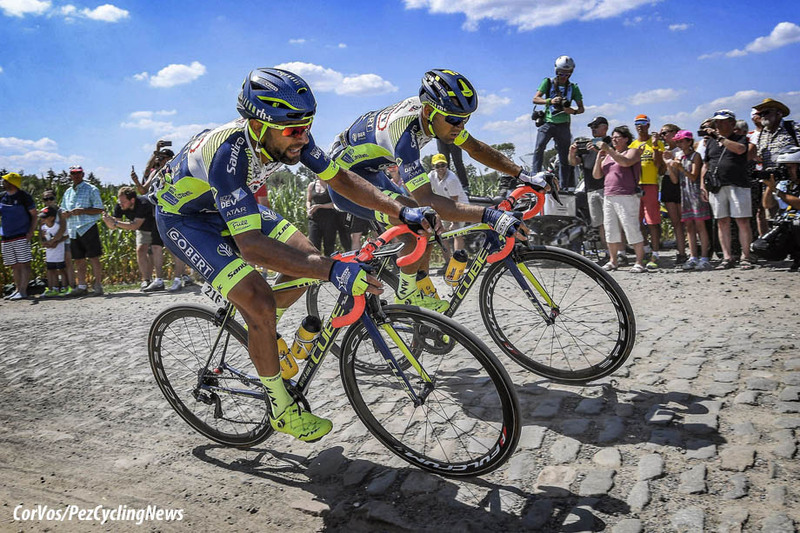 It's completely another race, the Tour de France, when I have spoken with a lot of riders that have ridden the Tour de France in the past, every rider told me that when you do your first Tour de France your body changes completely. It's a twenty-one day race, a fast race, and everyone in the race is in great shape. PEZ: Your favorite race from last year? My favorite race... Luxembourg was special for me as I won two stages and the General Classification, but I have a very good memory and feelings for the Tour of Flanders. I love the Tour of Flanders for the people, the area and the circuit, for the cobble stones and for the atmosphere before and during the race. It's strange, but the feeling was very, very nice when where you are at the start of Vlaanderen. PEZ: It's the real World championship. Yeah, yeah, I say yes! 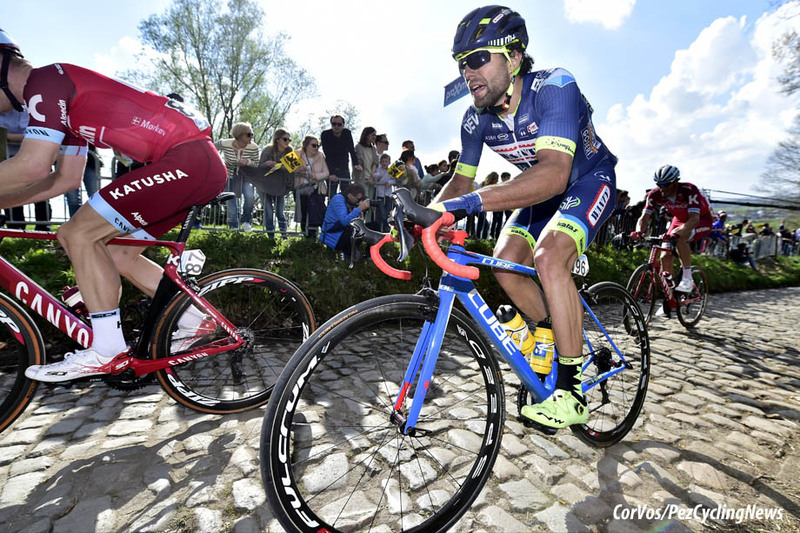 PEZ: Have you ridden Paris-Roubaix? Ride Roubaix, no. 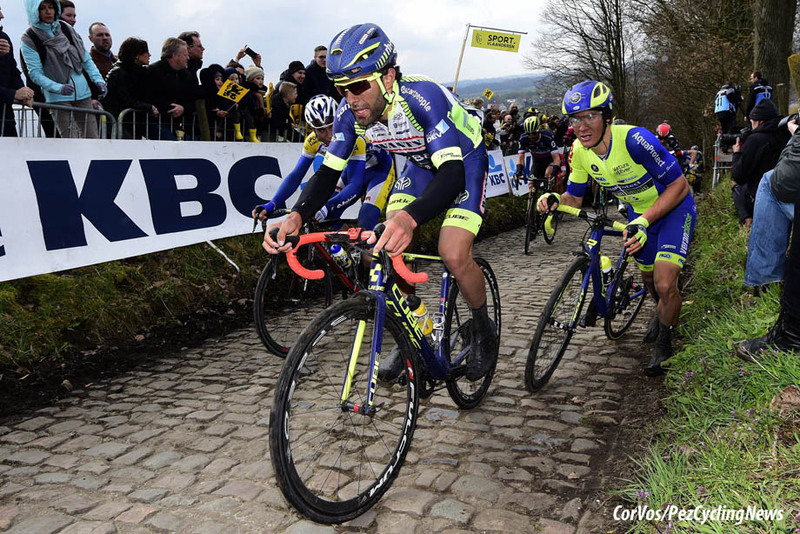 I rode the cobbles of Roubaix during the Tour de France, but I want to ride it one year. 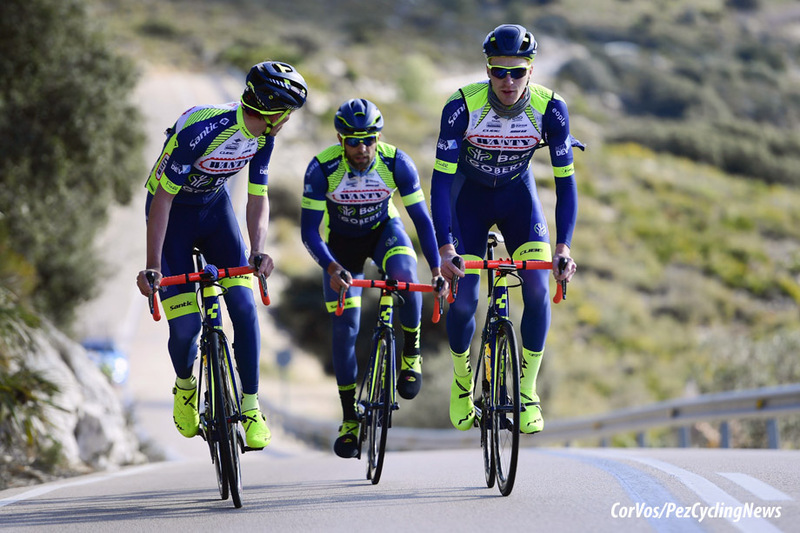 Before, when I was younger and I was in an Italian professional team, the name was Bardiani, in my head I had Milano-Sanremo because it's an Italian race and the first big race of the year, but when I arrived at the Tour of Vlaanderen... I love Flanders very much. 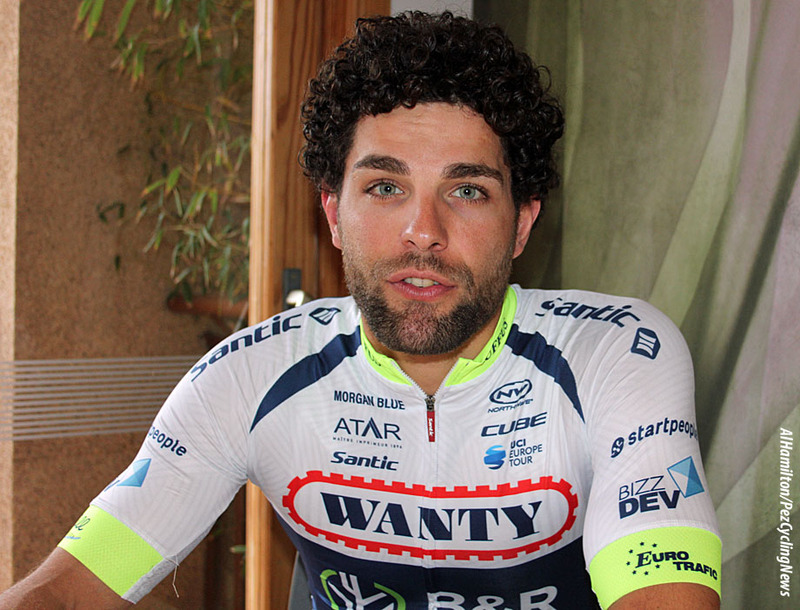 PEZ: So an Italian with races like Sanremo and Lombardia prefers Flanders? PEZ: What are your big goals for this year? This year; I'm feeling very good and I'm in good shape at this moment and I think I have the possibility that I will have another year with a good calendar and another year of good teammates and I'm sure that in 2019 we will have good results, not only during the first part and the last part of the season, but during the whole year. I'm sure that I have a lot of experience, I'm in my 9th year in a professional team and I have the experience to stick with it during the whole year. 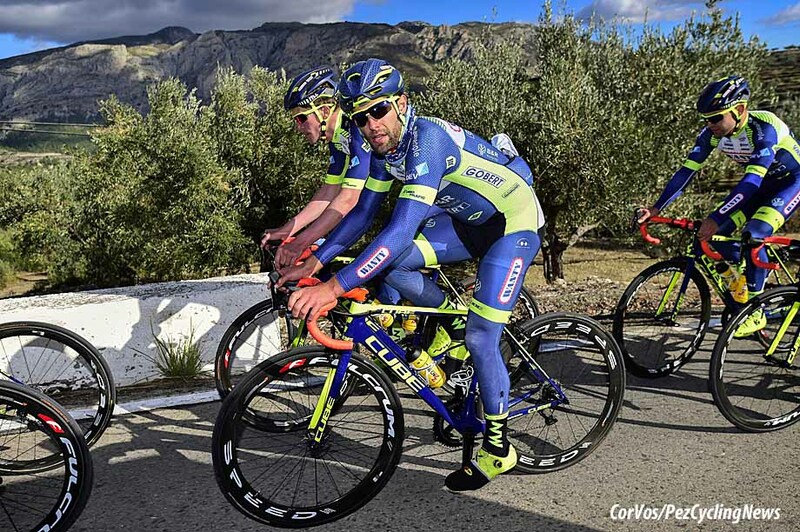 I really want to take some very good results in some big races, like a WorldTour race. For me it's important because I am 31 years-old and I have four, five or maximum six years left, but for sure I won't have the power like I do at this moment. Now I feel that this is the moment to get some good results. PEZ: You could be like Davide Rebellin and race when you're 47 years-old? Yeah, it's a long time to be racing on a bike like Rebellin. PEZ: You also won the Grand Prix de Plumelec-Morbihan. Yes, also a good race. It was a nice day for me and for my team because all my teammates worked for me all day and then in the final I took the victory ahead of some big riders, like Dumoulin and some other French guys - Simon and Vichot. For sure it was a very good day for me, yeah. PEZ: You seem really happy, happy in yourself, you're happy with the team, just a happy guy? I like to have a smile, I don't like the guy who never has a smile and very serious. Why be serious, the Life is too short to not have a smile, I prefer to have a smile every day. Okay, we have some moments that are not good or something bad happens, that's life, that's normal. I enjoy my work and the people with me, with this smile. PEZ: What would be your biggest dream for your whole career? My big dream would be to win the Tour of Vlaanderen, but to win the Tour of Vlaanderen with the jersey of the World champion. Yeah, that is the best dream I could have. It's like Valverde winning Vlaanderen this year, that would be the best moment of his career. I know that Valverde wants to win the Tour of Vlaanderen and I think he has the possibility to do it. He is an incredible guy and I am very happy for his victory in the World championships, he deserved it. PEZ: Do you live in Italy all the time? Or do you live in Belgium sometimes? No. This winter I decided with my family, I have a girlfriend and my daughter who is now two years-old at the end of January, we decided to live in Girona. We will rent an apartment for one year in Girona to have a better temperature, better weather than in Italy. I'm happy because I will know another country and I will have other riders to train with there. 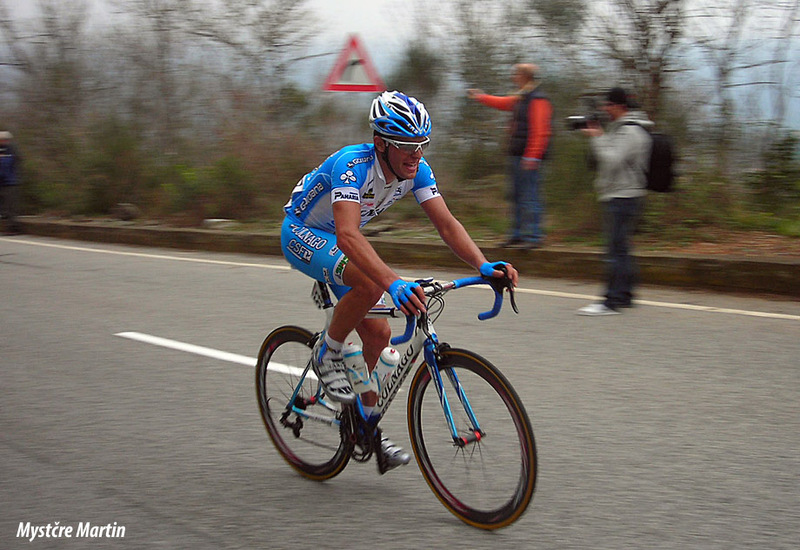 PEZ: There are hundreds of professional cyclist living in Girona now. Hundreds I think, yeah. I think there are 80 or 90 riders now who live in Girona. I think now it is the capital city of the cycling scene. In one or two years it has become the capital of cycling. Andrea also spoke of his admiration of Philippe Gilbert, if he has a son he will be named Philippe.